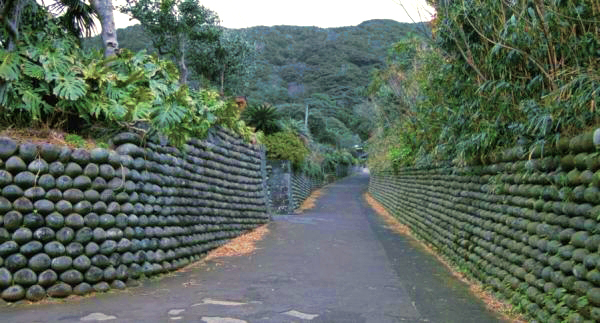 The Osato Tamaishi Wall on the island of Hachijojima, part of the Tokyo Metropolitan District. It is in the Philippine Sea about 180 miles from central Tokyo. 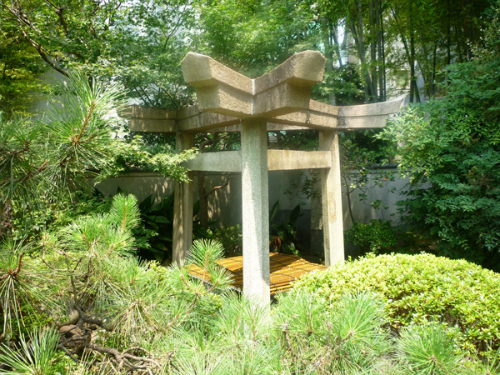 THE Japanese festival tradition isn’t limited to older Shinto ceremonies. For example, high schools and colleges also hold what they call culture festivals. Earlier this fall, the Tokyo University of the Arts, the country’s most prestigious art school, held its annual festival called the Geisai 2012. It must have been fun, because 100,000 people showed up, and the school doesn’t have that many students. And just like a Shinto festival, Geisai opens with a mikoshi parade. 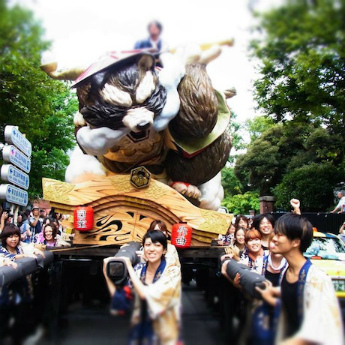 This year’s parade was held in Ueno Park with eight mikoshi designed on non-Shinto themes that included Mexico, frogs, and outer space. The Geisai is the crystallization of the expression of diversity. I think it’s safe to take his word for it. Here’s alumnus Sakamoto Ryuichi giving everyone what they want: A Happy End. THE Shinhodo 2001 poll has a small sample size and is conducted only in Tokyo, so everyone knows that the numbers aren’t ironclad. Nevertheless, politicians are said to find the results a useful guide to assessing the public mood. The most recent survey was taken on Thursday and released on Sunday. Here are the answers that people are looking at. * Which party will you cast your vote for in the proportional representation round of the next election? 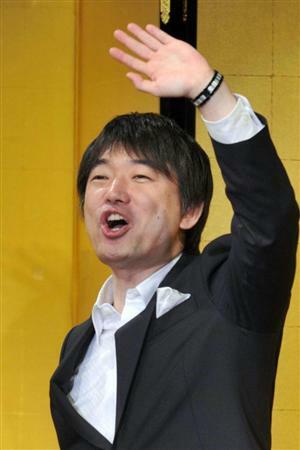 The Jiji poll regularly has the non-affiliated group at more than 50%, and that continues to be the most important overall factor in Japanese politics. Whenever the next election will be held, the DPJ is facing a repudiation of their performance which will probably exceed that for the LDP in 2009. The numbers for Mr. Hashimoto would probably be higher in the Kansai region. That demonstrates one of the problems he faces — translating his regional popularity nationwide. It would seem that Ozawa Ichiro’s primary function now is filling space in newspapers. These numbers are as ugly as those for Hatoyama Yukio in the spring of 2010. The Japanese system is such that political parties can maintain control with approval ratings at 40+. The pols start to get edgy when it falls into the 30s, and they start thinking about life after the Cabinet in the 20s. That said, it’s not easy to explain why Noda Yoshihiko’s numbers are this bad. 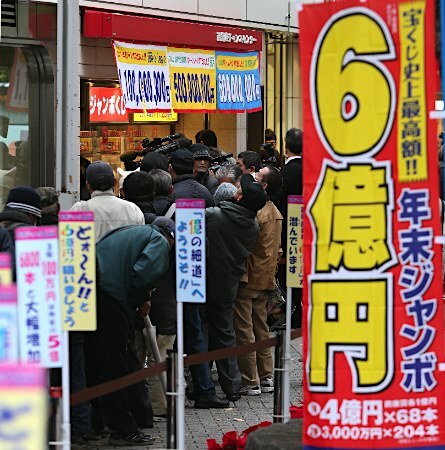 The consumption tax increase was unpopular, but that was discounted months ago. Opposition to his restart of a few nuclear power plants is probably a factor, but that would not explain the corresponding rise in support for the LDP. They aren’t the ones clamoring to shut down nuclear power for good. His government’s response to both China and South Korea this summer has been measured and firm, unlike that of his predecessor, Kan Naoto. I can only think the public is fed up with the idea of a DPJ government in general, rather than any one specific issue. 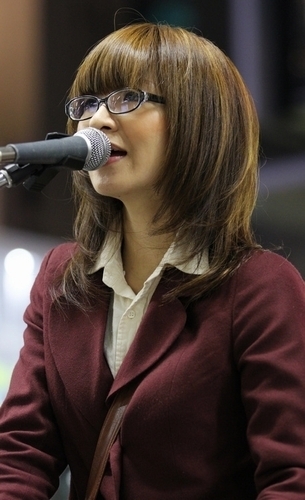 * What are your expectations for the new party to be formed by Tokyo Metro District Gov. Ishihara Shintaro? This is puzzling — Mr. Ishihara is 80 years old and cranky. He is not the sort of man to attract voters half his age and younger. Then again, this survey was conducted in Tokyo, which is his base. But because his response to South Korea and China would be firmer still, it’s possible that the public realizes Obsequious Japan is no longer going to work. Standing up for the country — which is not the same as nationalism — is a winner with the public. * What are your expectations for a possible alliance between Ishihara Shintaro and Hashimoto Toru? This is more puzzling, even considering that the numbers for Mr. Hashimoto’s party have been sliding since late summer. (I suspect that might be due to concerns about the problems with China and South Korea, and the Osaka mayor’s inexperience in foreign affairs, rather than anything he did.) Evidently, a few folks in Tokyo like their Ishihara straight and not blended. * When do you think the lower house should be dissolved and an election held? 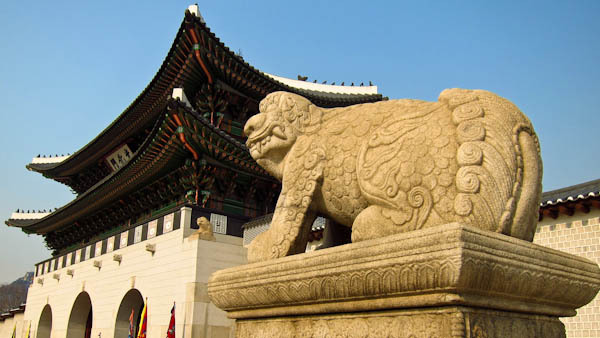 The impatience is understandable, but as a practical matter, it might be better to hold a double election with the upper house vote scheduled for next summer. That might create a mandate and give a party or an alliance a better chance of passing legislation. The winners of a lower house election now will still have to deal with upper house as it’s presently constituted until next year. Another lower house election would probably be needed, so holding one now might not accomplish much. Whatever the schedule, Japan’s next election (or series of elections) is likely to be as transformative for this country than the one about to be held in the United States. 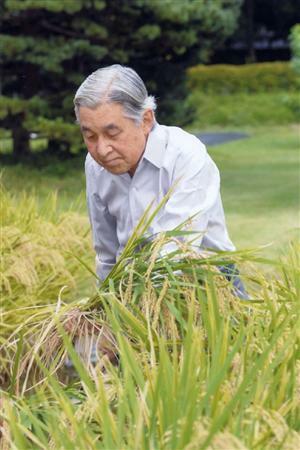 THAT’S not just any old hayseed harvesting those rice plants — that’s the Emperor of Japan. He put on his boots, grabbed a sickle, and got right to work, cutting down about 100 plants. The man’s no stranger to farm chores. He planted the seeds, too. Bet they don’t do that at Buckingham Palace. He grew two kinds of rice, one a variety of mochi. Reports say this Palace harvest was that of a typical year. 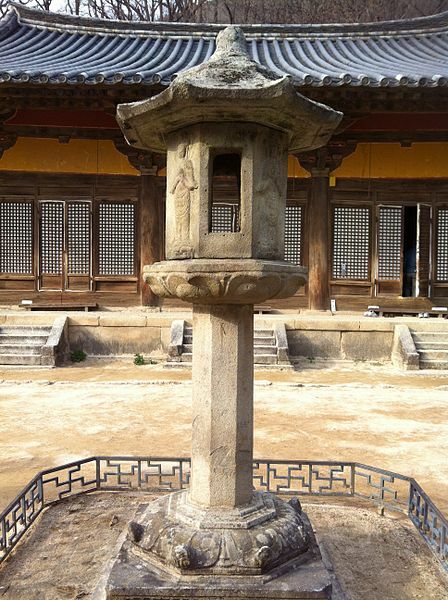 The crop will be used in ceremonies as well as eaten at the palace. It’s a simple photo, but the combination of rice and the Emperor lies at the heart of the Japanese identity. Inose Naoki, a prolific non-fiction author who also serves as the Vice-Governor of Tokyo, briefly describes one of the ceremonies at which the rice will be used. Many of Japan’s holidays have a rather complicated history. 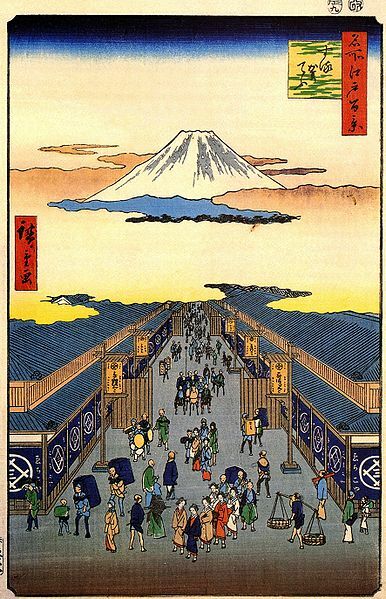 Labor Day is originally associated with the Niinamesai (Harvest Festival), which is connected to the Tenno (Emperor). Even those people for whom the name Niinamesai does not register should recall seeing on television the Tenno cutting the rice in the paddy at the Fukiage-gyoen (gardens) at the Imperial Palace. The Niinamesai is a festival to celebrate the rice harvest and offer a prayer for an abundant harvest in the coming year. 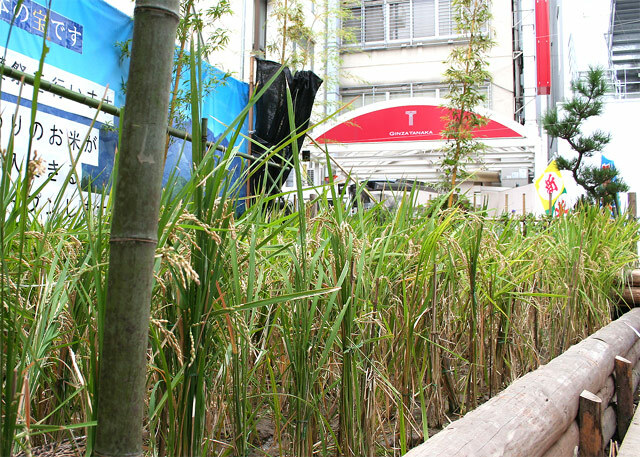 The Tenno’s rice harvest is a symbolic performance. 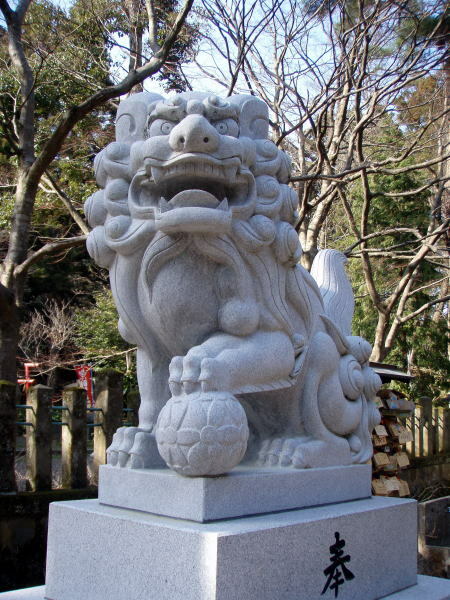 The Tenno, whose spiritual power has been strengthened to the maximum through the Chinkonsai (Shinto service for the repose of the dead) held the previous night, conducts a ceremony at the Imperial Palace for offering the harvested grain to the divinities. The Daijosai is conducted when the new Tenno ascends the throne, and is best understood as a version of the Niinamesai on a larger scale. The Tenno system has continued even with the changes to the Constitution after the defeat in the war and the transfer of ultimate sovereignty from the Tenno to the people. When decisions were being made on new holidays, the Niinamesai was offered as a candidate, adapted as a day to give thanks for the new harvest. The associations between the name of the holiday and the Tenno gradually grew weaker, and the holiday was established as a day to honor work, celebrate production, and to have the citizens extend their thanks to each other for the work they do. 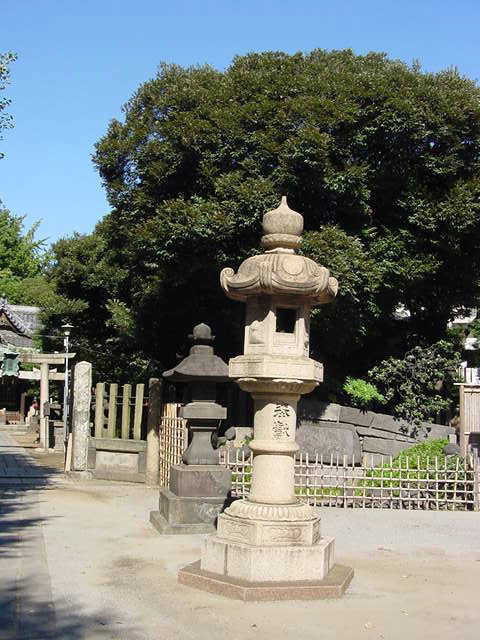 A poem in the Man’yoshu suggests the Niiname was once a ceremony conducted in the home. The name Niiname is not to be found among the harvest festivals held throughout the country in the early modern period, however. 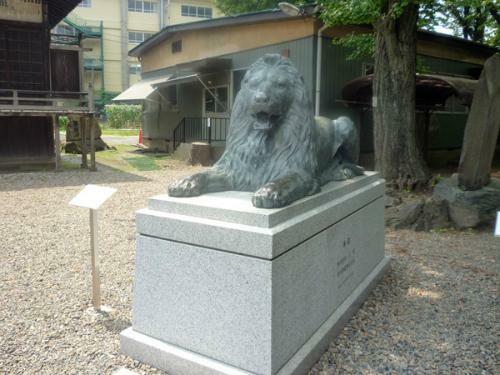 In short, it is best considered a ceremony restored under the Meiji Tenno system. Here’s a previous post on ceremonial rice harvests by younger and prettier farmhands. But the Imperial Palace doesn’t have the only paddy in central Tokyo. Here’s a plot in the Ginza district on the street right behind the Tiffany & Co. outlet. There’s also a paddy on a rooftop in Akihabara, the consumer electronics district. The plot’s been managed since 2009 by an NPO whose slogan is, “You can even do it in the middle of Tokyo.” They plant the rice in June, so it shouldn’t be too much longer before it’s time to harvest their crop, too. Pressed into service as temporary agricultural workers are the maids in the district’s maid cafes, as well as voice actors. Here are the pretty maids all in a row at last year’s harvest. They don’t swing a sickle, but they do approach the task with typical Japanese aplomb. An anti-China demonstration in Tokyo yesterday. The Chinese media said several thousand people were present, but the AFP news agency from France thought 800 was more accurate. The sign the woman on the left is holding says that Japan-China friendship is a fantasy. The sign in the background asks why the Japanese government is still giving subsidies to students from China. The sign draped over the man at right says that the Self-Defense Forces should be stationed at the Senkakus. The Chinese media said it was a “right-wing” demonstration. 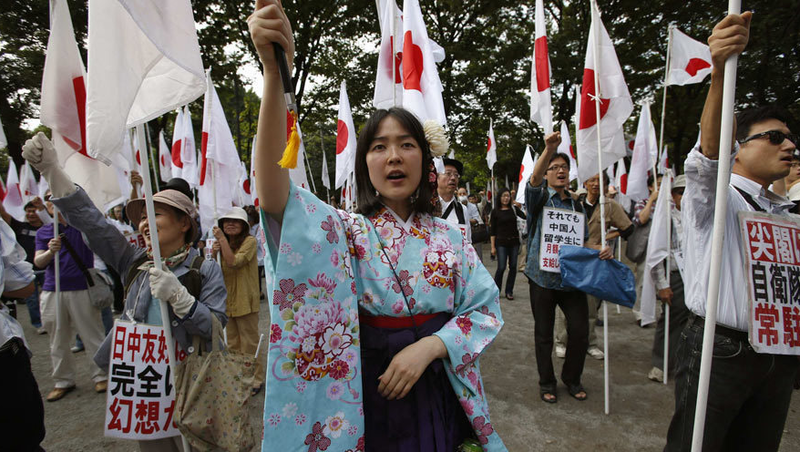 Had those been Chinese people with Chinese flags and signs that said “Kill Small Japan”, they would have said it was a patriotic protest. Photo from the ifeng.com website affiliated with Phoenix News of Hong Kong. (After the Tohoku Disaster), there arose again the awareness that we are of one culture. This awareness has been felt again in regard to the Senkaku islets. 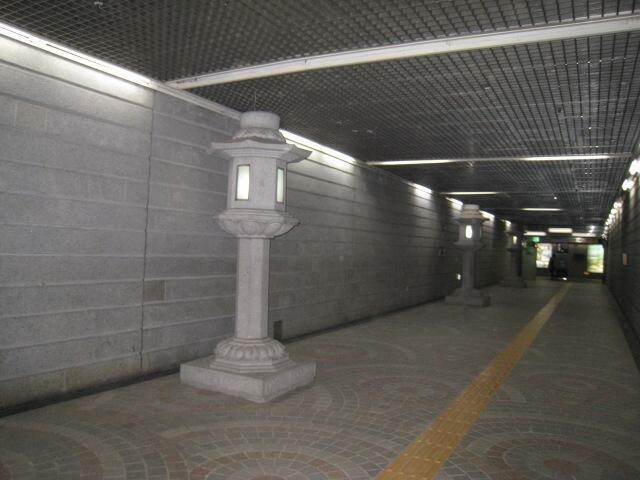 It became apparent with the manner in which we received the public donations that the Tokyo Metro District requested to purchase the Senkakus. It came lapping in like gentle waves. It was nothing like the fanaticism shown, for example, by the South Korean president when he visited Takeshima, or those people who rip up the Japanese flag. I sensed a quiet passion. 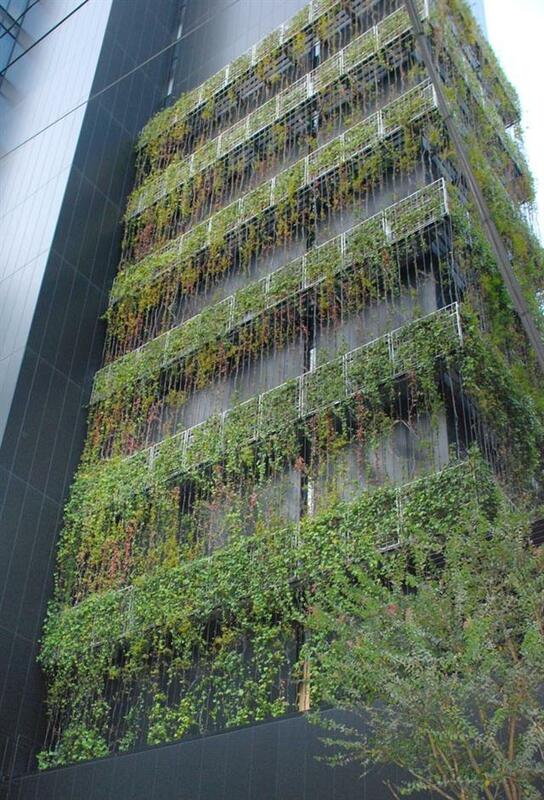 The Metro District determined an appropriate price through surveys and the advice of the Asset Price Council. A resolution was passed in the assembly. We followed the rules of democracy and tried to purchase them fairly. In contrast, the national government has no idea when it will pass the special legislation authorizing bond issues, and it still can’t distribute the JPY four trillion in grants to be sent to local governments. They shouldn’t have any money, but they bought the islets for JPY 2.05 billion. We do not know the basis for the purchase price, and they have not fulfilled their responsibility to explain to the taxpayers. 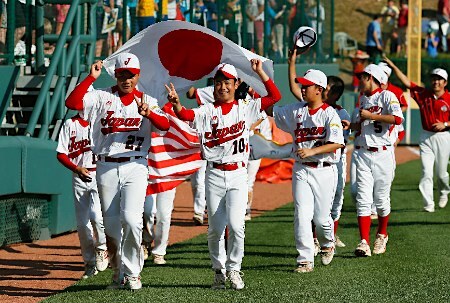 A team from Kitasuna, Tokyo, after winning the Little League World Series in Williamsport PA by beating a team from Tennessee 12-2.